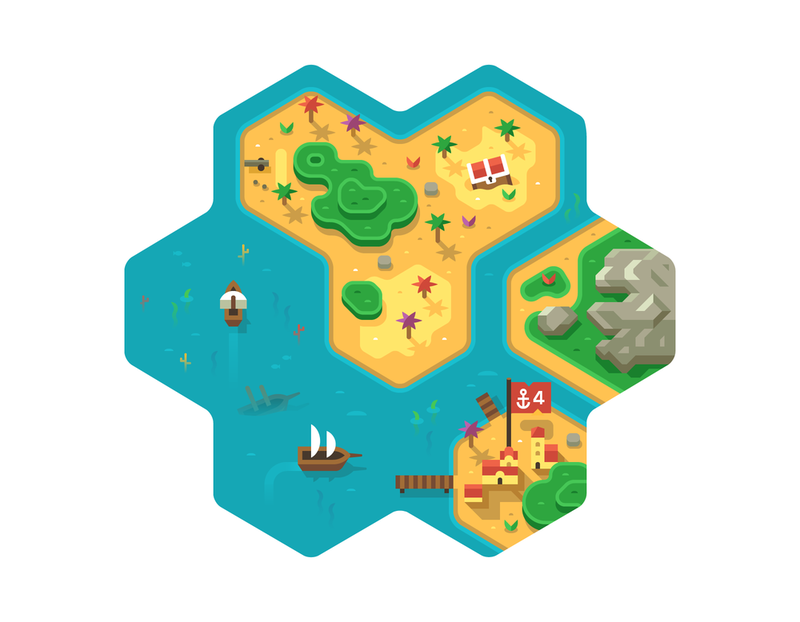 Over the summer we worked on a style pitch for a Catan style tabletop board game themed around sailing and pirates. The game was meant to be played using six sided tiles which explains the hexagon shape. Unfortunately we didn't make the cut...But hey if someone wants to hire us to make a board game we're interested!